Utilization of the PersonalMed platform in conjunction with our proprietary billing service not only brings predictable costs to PBM’s and plan sponsors, but quality medications and care to patients. Partnering with PersonalMed brings multiple benefits to payers though a rage of resources. With 34 years of experience in the compounding industry, PersonalMed has unparalleled institutional knowledge of compounding. Our clinical consulting team responds to over 120,000 calls per year, giving us a unique visibility into new therapeutic approaches. Our clinical resource team is dedicated and fully qualified to engage on formulary development, prior authorization criteria and reviews, step therapy, evidence based compounding, and the management of emerging therapeutic pipelines in compounding. 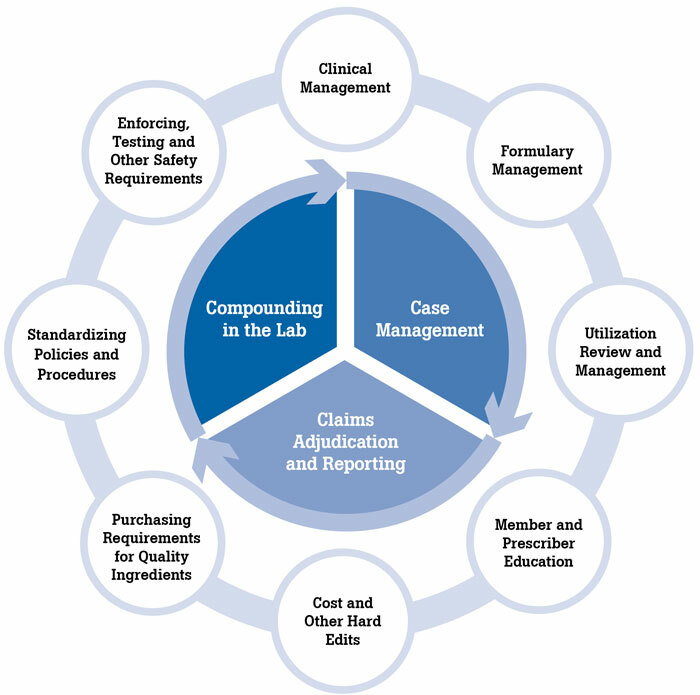 The claims compliance management and billing platform is unique to PersonalMed and plays a vital role in providing pharmaceutical care, case management, and contract enforcement. Our patient care advocates are caring and compassionate professionals providing patient support by interacting with prescribers and clinical pharmacist, and engaging patients and caregivers to ensure the clinical needs of the patient are met. Behind our PersonalMed evidence-based compounding program is a network of rigorously credentialed compounding pharmacies built to deliver high-quality, cost-effective management of a plan sponsor’s benefits for compounded medicines.